Adoptions are usually private affairs, sealed forever in court documents and known only to the families involved. But recently, one decision by Idaho's Department of Health and Welfare exploded into the public sphere. 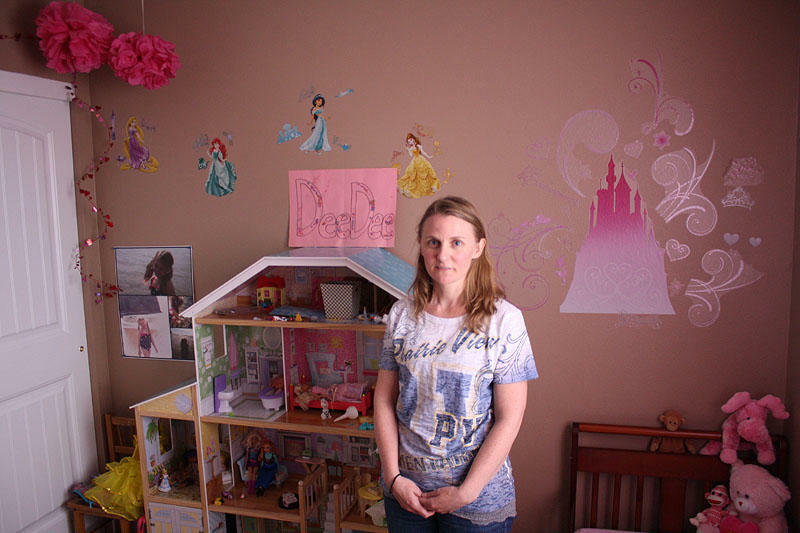 Andrea Butler of Rathdrum, Idaho, stands in the room Dee had in her home for the four-and-a-half years Butler fostered her. Andrea Butler, a foster mom in Rathdrum, Idaho, says the state made a terrible mistake when it took her foster daughter away after four years in her home. Butler, a fifth-grade teacher, first met Dee, a little girl with sandy brown hair and big sparkling eyes, in 2009. Butler had just qualified as a foster parent. Dee was nine months old and her biological mother was using drugs. When the state asked Butler to take the child in, Butler knew the placement was temporary. Months, then years, passed by. Butler experienced Dee's first steps, first words, first birthday, and first haircut. Someone you might not expect agrees with Butler: Dee’s biological mother, Elizabeth Gamez. Gamez said she saw this growing bond during her regular visitations with Dee. Meanwhile, Gamez said the state was pressuring her to terminate her parental rights. And finally she did. She assumed Butler would adopt her daughter. But it wasn't going to be that simple. The state removed Dee from Butler's home in March. The state had another plan. An aunt and uncle, who lived just miles away, wanted to take Dee home. They had already met Dee when she was just a newborn. When the state first took Dee into custody a years ago, Tavares said child service workers did approach her. That was in 2009. At that time, Tavares did not want to get in the middle of a fight between Dee’s biological mother and the state as a foster parent. Then in 2012, Tavares learned that Dee's biological mother had given up her rights. “So I stood up in court and said, 'This is my niece' and I was willing to adopt her,” Tavares said. The state agreed. But after two years, Dee is still transitioning into the Tavares home. “Last year we did 331 adoptions and I don't think we had anything that compared to this,” said Tom Shanahan, a spokesman for the Idaho Department of Health and Welfare. But Shanahan said, in other ways, the state's decision was pretty straight forward. Idaho, like Oregon, Washington and most other states, gives relatives priority for placement of foster kids. That’s a dramatic shift from a few decades ago. Laws that favor relatives have been credited with reducing the number of times foster children are bounced from home to home and with shrinking the overall number of kids in foster care in the last decade. One of the first laws to recognize the role of biological family in maintaining a child's identity was the Indian Child Welfare Act -- a law that came up in Dee's case. Dee is part Alaskan native. A judge ruled the federal law didn't apply in these circumstances, but Tavares said family identity -- tribal or otherwise -- is something Dee would miss out on in another home. But Andrea Butler said Dee lost the only identity she had for most of her five years when the state removed her from Butler's home. Butler, her friends and family have launched a social media campaign called Bringing Dee Home and have staged public demonstrations to try to put pressure on the state officials to reverse their decision. Local news stories have highlighted the criminal history of Dee's biological extended family, though the state said the Tavareses passed background checks. Tavares acknowledged the move has been hard on Dee. But she said her family is helping Dee work through the difficult transition. The publicity around the case, she said, hasn’t helped. Tavares added that there’s another reason for Dee to be part of her family. Dee is not the only child Elizabeth Gamez put up for adoption. After Dee, she had another child, a boy. Tavares and her husband adopted him around the same time they asked to adopt Dee. Oregon lawmakers are considering a measure that would make it easier for people who were adopted as children to access court records about their biological family. A House committee could vote to advance the measure Tuesday. Oregon Senate Bill 623 is what is sometimes called a housekeeping bill. It's pretty boring, really. The measure clarifies who gets access to certain kinds of paperwork and how they go about getting it.